Stunning effects are often created by mixing various materials in acrylic award design. 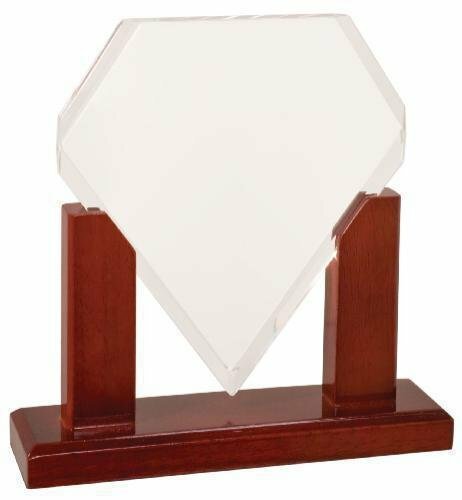 Our piano finish acrylic award series brings together rosewood, cherry or black piano finish wood and acrylic to create magnificent stunning acrylic award presentation. It is our goal to make your piano finish acrylic award buying experience simple and convenient with free engraving for every piano finish acrylic award. The Elegant Zenith award is our flagship piece. This acrylic arrowhead is attached to a piano finished rosewood base. We currently offer this item in clear, blue, or jade and in sizes small through large. 16" x 6.5" x 5"